[Aki Korhonen] wanted to tighten up his macro photography setup. He already had the camera for the job, but wanted a fully adjustable target platform that he could easily light. What he came up with is a jig to hold the camera and fine tune the subject of each photo. 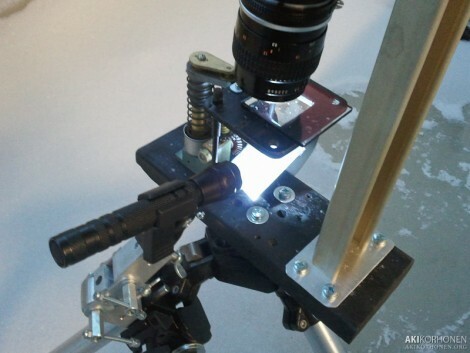 It uses a frame with a piece of glass whose distance from the lens is adjusted by turning a knob. Below the glass a reflective surface redirects light from an LED flashlight up through the platform, lighting the snowflakes he’s shooting. A fixed LED source is in the plans for the next rendition. Take a look at the overview of his setup in the quick clip after the break. [unusualelectronics] posted this animated LED snowflake. 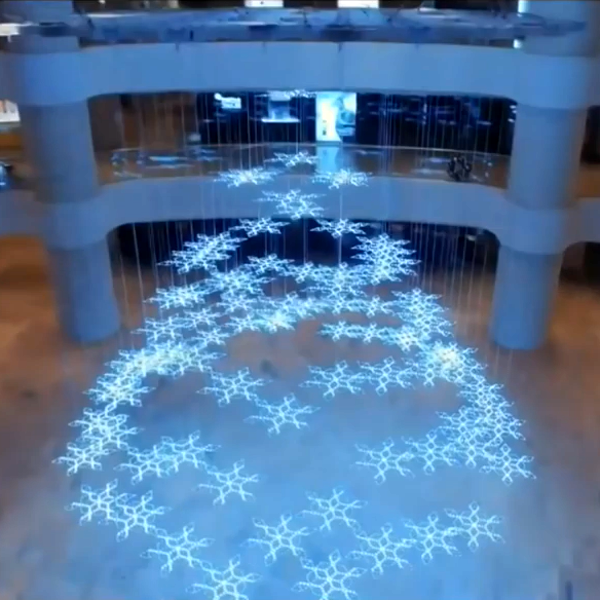 It has 61 LEDs, is controlled by a PIC microcontroller, and can perform about 30 different effects. The instructions are quite thorough, including diagrams for soldering and source code for the microcontroller.